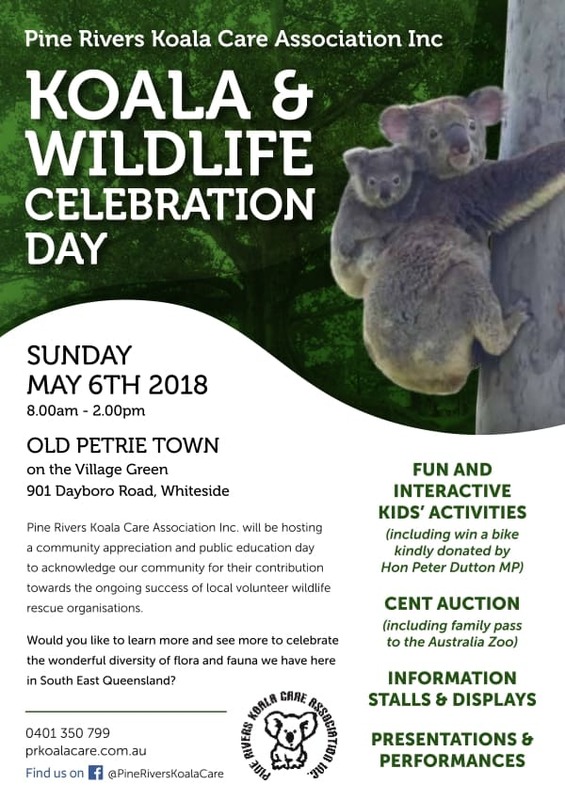 14 independent Wild Koala Day events Australia-wide! Events ranged from koala tree planting, to information stalls, field days and walks, weeding and charity auctions. Some events were run on the day – May 3, but others were run on the weekend before or after. Five new koala tree-plantings were instigated by Wild Koala Day. 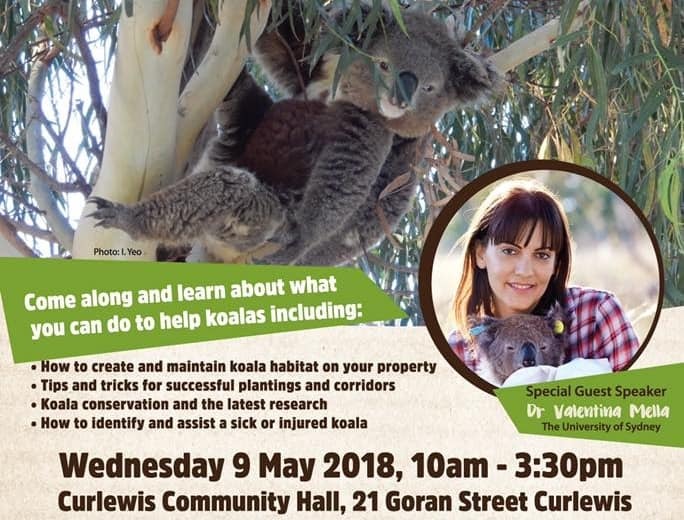 Thousands of trees were planted for koalas in Toogoolawah, Qld, Little River, Vic, Campbelltown, NSW, Bangalow NSW and Gympie Qld. 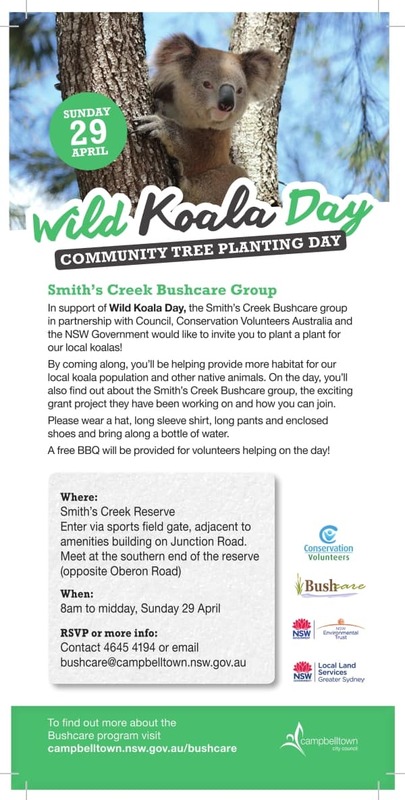 Bangalow Koalas Inc planted at Bangalow NSW and they are planning more! Koala Clancy Foundation VIC started tree planting on 3 June and to date have planted 450 trees in creek lines on private properties around the You Yangs. Another 1000-1500 trees are scheduled for this season. 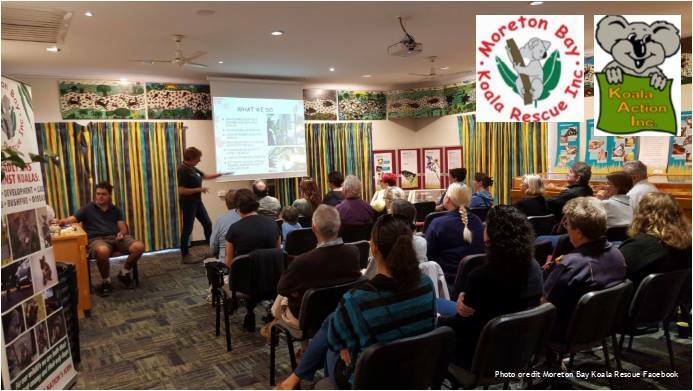 Six terrific events educated hundreds of people Australia-wide about conservation of koalas. 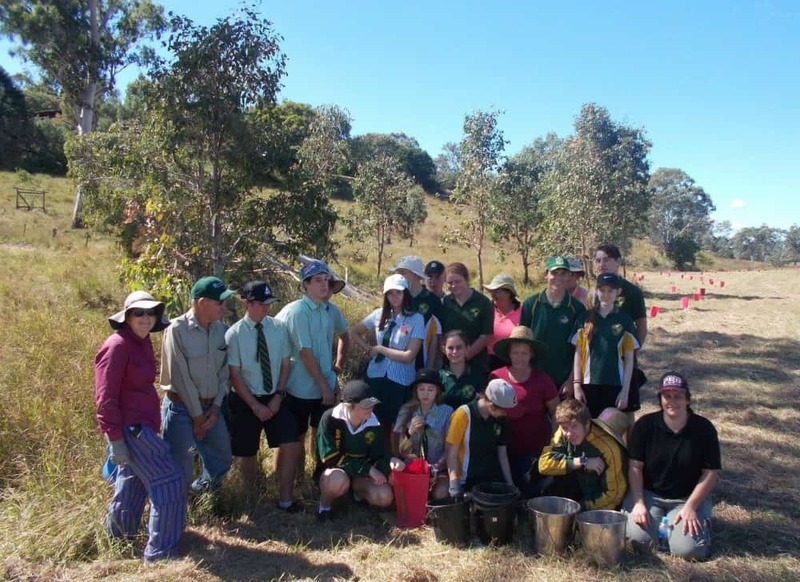 Events were held in Pine Rivers, Qld, Noosa, Qld, the You Yangs, VIC, Moreton Bay, Qld, Tuckurimba NSW and Gunnedah, NSW. 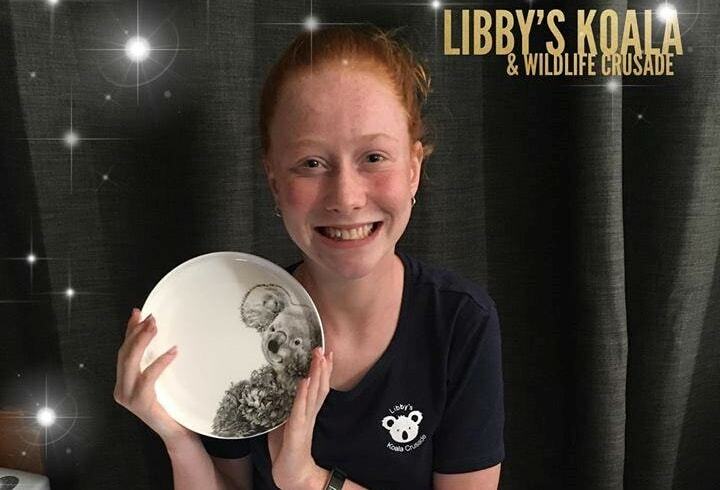 Four fundraising events were held to benefit koalas all over Australia: two charity auctions for koalas in Adelaide, SA, and Pine Rivers, Qld, an art donation in Victoria and a new book release fundraiser at Tuckurimba, NSW. 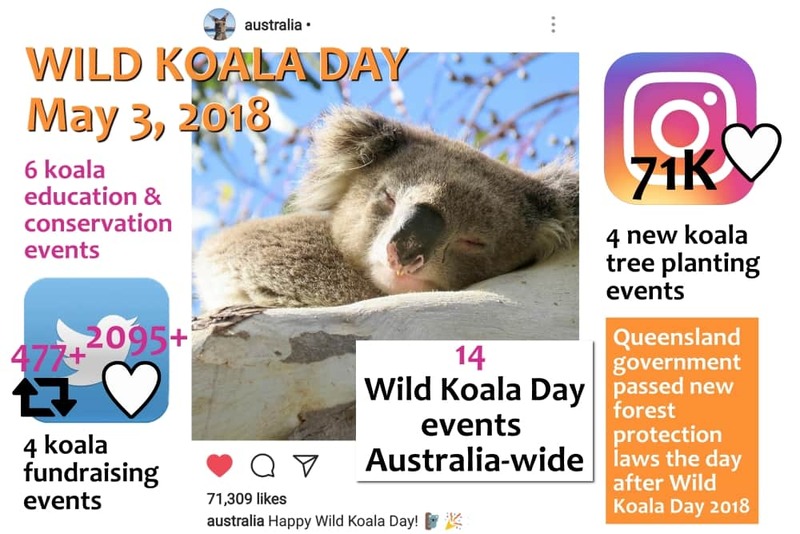 On media we had 71,000 likes on one instagram post by Tourism Australia; plus another 489 independent instagram posts; 210+ #wildkoaladay tweets with over 470 retweets on and 2000+likes; and lots of action on TV, radio and in the press. All this means more awareness by the public for koala issues and more pressure on governments to make koala-friendly decisions. In fact, the day after Wild Koala Day the Queensland Government announced tougher forest protection laws in that state to protect koalas. This came as a result of the hard work of many, many koala groups over years – and Wild Koala Day helped. We’d all love to see even more koala events next year – so get your thinking caps on. 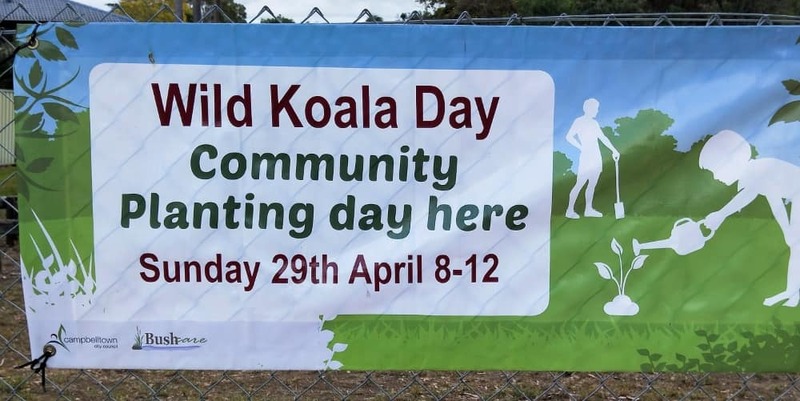 Do what works for your community, and your koalas – there are no limits. This is grass roots action at its best: run by the locals for local issues.